It always intrigues me to read an American view of Operation Julie – Britain’s biggest drug bust. 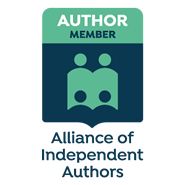 I recently had that opportunity twice as a US-based book blogger reviewed not only my own book but also Busted by Ed Laxton and Martyn Pritchard. 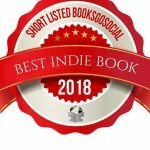 The blogger reviews as Valerity on Amazon and Goodreads as well as Odylicious on her own website. Her review of my book can be read on her website here. This book goes well for reading now, after having recently read and reviewed Busted by journalist Eddie Laxton and cop Martyn Pritchard who was also in Operation Julie. This one is by Stephen Bentley, who happens to have the undercover name that’s the same as one of our true crime writers here in the US, Steve Jackson, which is kinda cool. 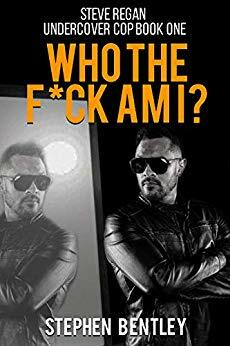 He talks some about what the case did to his life after, and how he feels about the other books on it that are out there. Bentley gives a great insider’s view of doing undercover work on the operation, being a handpicked member of the squad. He was known for being an ultra honest cop, and shadier ones knew to do their dirty dealings when he wasn’t around. Learning undercover work was quite different for him as it required him to act shady himself while working undercover, not something the straight-laced Bentley was accustomed to doing. But he took his job seriously and his life and that of others depended on it, so he had to be convincing. So he learned and learned well. They started out with a van, set it up to live in it with sleeping bags and a small gas stove cooking breakfast and making tea. The area that they were sent to was a part of Wales, is called Llanddewi Brefi. They found a secluded place to park it at night by a stream so they’d have use of the water for drinking and bathing during the warm months. As for the job, they figured it out as they went along, hanging out in pubs and meeting people. At times they would go along to after-parties to play cards or drink and talk more. Often they wouldn’t head home until the wee hours of the morning, worn out and ready to crash. This is a very engaging read about Steve and his partner Eric, and their time undercover. 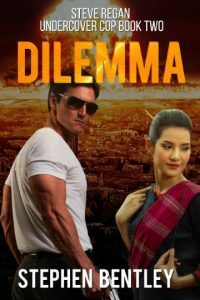 Join them as they go after the drug traffickers, with no undercover training whatsoever, because there was none to be had. An enjoyable true crime read filled with plenty of action. My thanks to the author for the free copy in return for my fair review. 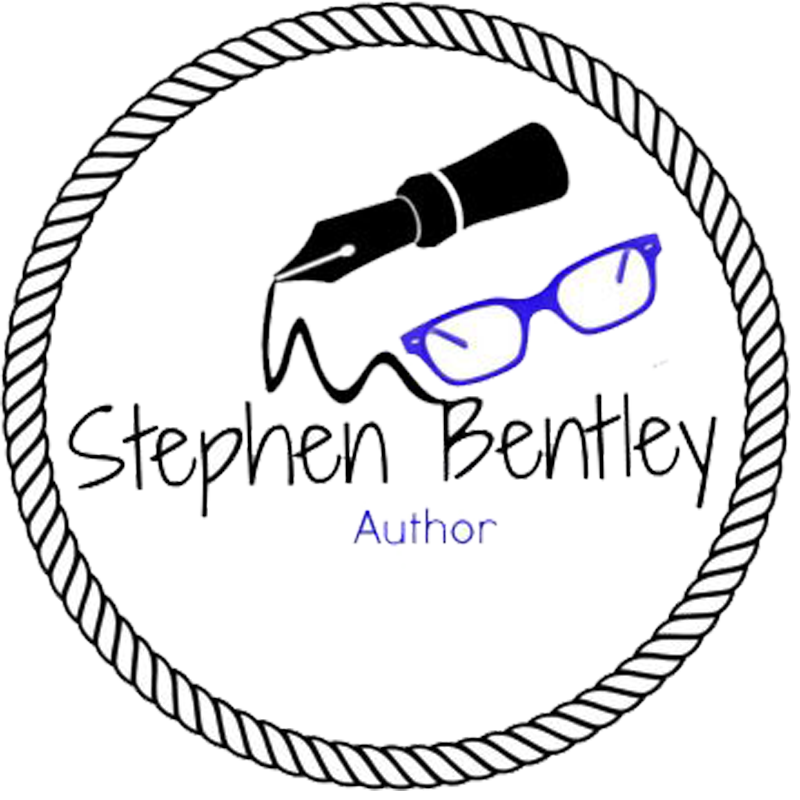 Author- Stephen Bentley is a former UK Detective Sergeant, undercover cop and barrister (trial attorney), now a writer, author and Huffington Post UK blogger. The book I read was 366 pages, published by Hendry Publishing; 2nd edition, July 19th, 2017. Last read August 20, 2018 to August 22, 2018. This is an older case/story that’s been dusted off and updated and brought back for our reading pleasure. Originally published under a slightly different title, it relates a big case involving undercover ‘hippy cop’ Martyn Pritchard and the largest UK drug case. Follow along with Martyn as he’s transferred into the drug squad (DS) and learns the ropes of being an undercover copper, learning how to set up drug cases, gain the trust of informants, and figure out their motives for giving information. Their reason can be very important, as you’ll learn in the book. Tricks of the Trade– the undercover cops would stop getting hair cuts and being freshly shaved, and dress in their casual clothes, usually jeans and shirts…the more rumpled and worn, the better. Usually with a touch of patchouli for scent. They stopped smoking store-bought cigarettes and learned to roll their own, because that’s the kind of environment they were going into. They managed to get themselves into and out of many crazy situations while they worked undercover, but were proud of the work they did and the many cases that they were responsible for making, including the famous one in this book that was record-breaking. My thanks for the advance electronic copy that was provided by NetGalley, authors Eddie Laxton & Martyn Pritchard, and the publisher for my fair review. 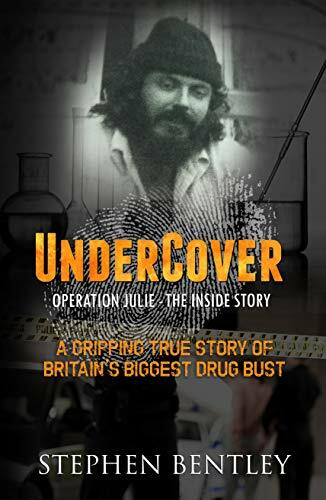 I’m sure it was sheer coincidence, but besides an American view of Operation Julie – Britain’s biggest drugs bust, I also found two reviews on Amazon by a British reviewer who clearly had developed an interest in Operation Julie demonstrated by his reviews of Busted and my own book. Busted is a re-issued book,first published in 1978,written by journalist Edward Laxton and former undercover policeman Martyn Pritchard mostly about “operation Julie” ,still one of the world’s biggest drug busts. I say mostly as it’s also a potted history of Pritchard’s police career and Operation Julie doesn’t come into the story until quite a way into the book. As a fan of true crime books I enjoyed it but it didn’t grip me as much as other true crime books in the Mirror Books catalogue such as the excellent “One Last Job” and “The Hunt For The 60’s Ripper”,which are both excellent The subject is fascinating but it’s not massively well written with repetition and sometimes the build up to an operation being told in detail while the main event is almost skipped over. Laxton’s contribution appears to be to offer an introduction to Pritchard’s tales and this can be irritating as often you’re told what’s coming next. Also as the first edition was written in 1978 there are things less ancient readers than myself might not get at all,for example the naive policeman who thought LSD referred to the old pre-decimal coinage. I get it,my Dad would get it,most under 50 at least wouldn’t have a clue what he was on about. Of course being dated isn’t all bad and the book gives an accurate,and contemporary insight into the policing of that time as well as the burgeoning Hippy “scene. So far so critical but while it’s far from perfect it a very entertaining and easy read and for me at least reading the reality of “celebrity villain” Howard Marx’s criminal exploits as opposed to the self-promoting Robin Hood garbage much of the general public fell for after “Mister Nice” was worth the read in itself. The book also spiked my interest in Operation Julie and I’ve just bought the book of that name by one of Pritchard’s colleagues,mentioned in Busted, Stephen Bentley and will possibly also buy that of one of the “bad guys”,Leaf Fielding. If you’re a True Crime buff you’ll find it a good if sometimes slightly lacking read but there’s enough good stuff here to make it worth picking up. Big thanks to Netgalley and Mirror Books for the ARC ,all views and opinions expressed in this review are mine,others are available. Having recently read “Busted” ,a recent reprint of a book about Operation Julie my interest was aroused enough to look for more books on the subject. At the time I was discovering the joys of motorbikes and young ladies and national events didn’t overly interest me so “the world’s biggest drugs bust” wasn’t something I knew anything about. Decades later and as an avid reader of true crime I was still pretty much unaware until reading Busted. Basically it was the infiltration by undercover police officers of a massive LSD producing operation. Busted left me feeling as if there was a good story here not terribly well told so I had a look at the ,quite large number,of other books on the subject on offer to research further and Stephen Bentley’s seemed the most promising,and an entertaining and educational read it turned out to be. Most of the book tells of how Bentley and his partner infiltrate the gang,possibly group is a better word, and supply their bosses with enough information to conduct mass raids and smash a massive international organisation. The rest is his views on “The War On Drugs”, the missed opportunity for creating a national drugs squad immediately after the “Julie” success ,his views on drug-taking and an interesting “where are they now” chapter ,which is self-explanatory. Bentley pulls no punches and it’s good to hear the story from him,not a ghost writer. An elderly relative once associated with many of the old London “celebrity villains” and tells me how hilarious their ghost-written exploits are,behind the eloquent prose dreamt up by professional writers he tells me the truth is most could barely spell their names let alone write a book and the “legends” were mostly dim thugs and “full of it”. None of that here,Bentley has been there,done that and paid the price. As other former undercover cops have written “being someone else” for several months at a time and basically living a lie is not the route to inner calm,not least when you are responsible for getting people you have often got quite close to locked up for a very long time knowing what a devastating effect that will have on their families and friends as well as themselves. A good read and having looked at Stephen Bentley’s “About The Author” page he’s read a very full life since Operation Julie that I’m sure would make for future good reading.